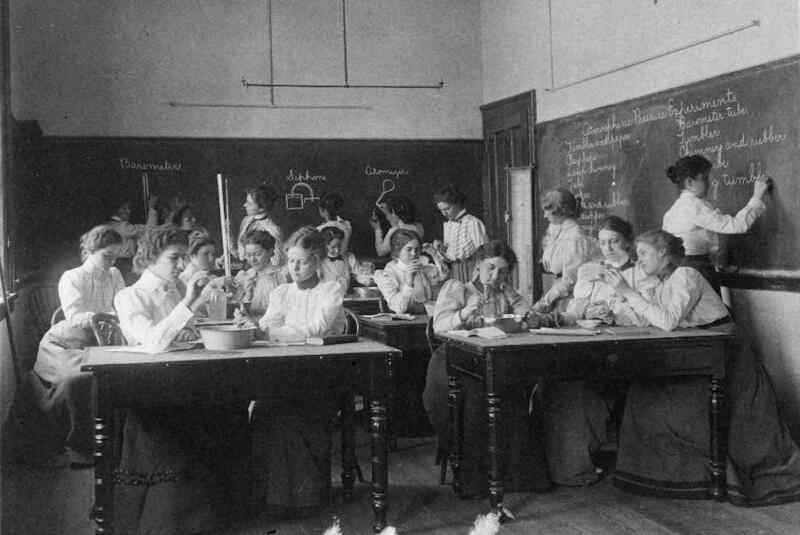 Group of young women performing atmospheric pressure experiments while studying science in normal school, Washington, D.C. By Frances Benjamin Johnston, 1899. Courtesy of Library of Congress. They are spirited, drunk on love. They will float or sink; it’s all in their specific gravity. How much sweetness and light can yeast convert? Session is a matter of shift. They grasp at the glass, listening louder, fanning pages, filling available space to see what disperses and they can dispense with. Proof has lost all meaning. Roll with it. Anna Leahy’s poetry collection Aperture is out from Shearsman Books in January 2017, and her co-authored cultural memoir, Generation Space: A Love Story, is out from Stillhouse Press in April 2017. See more at www.generationspace.com and www.chapman.edu/our-faculty/anna-leahy.